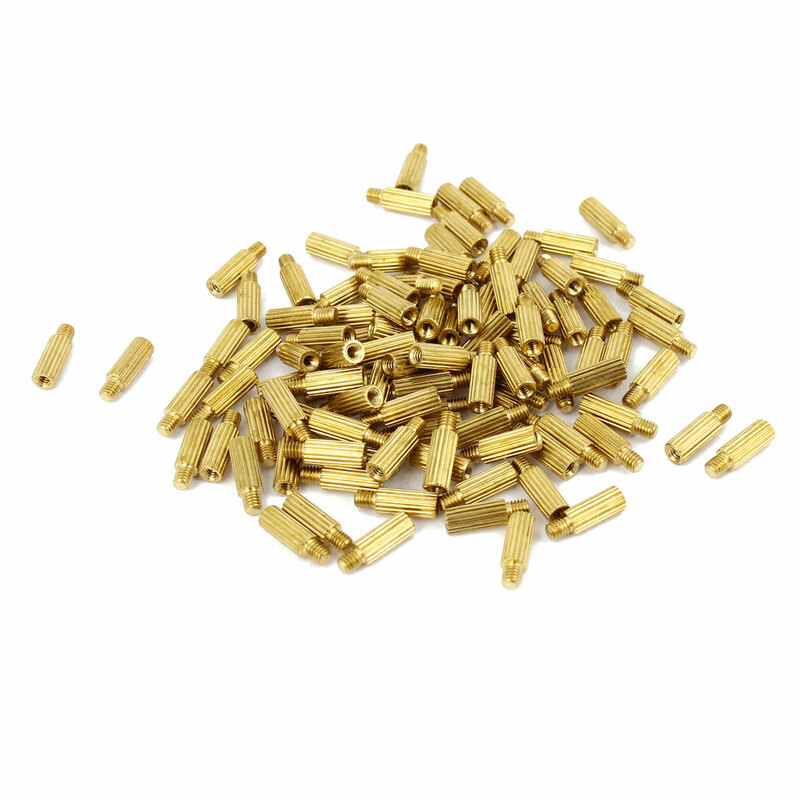 100 pcs screw threaded pillar stand-off spacers of male-female type, with gold tone plated brass construction. Pillars threaded spacers are ideal for mounting between PCB circuit boards and machine boards. Thread Dia : 2.5mm/ 0.098";Male Thread Length : 3mm/ 0.12"